The Love Live! 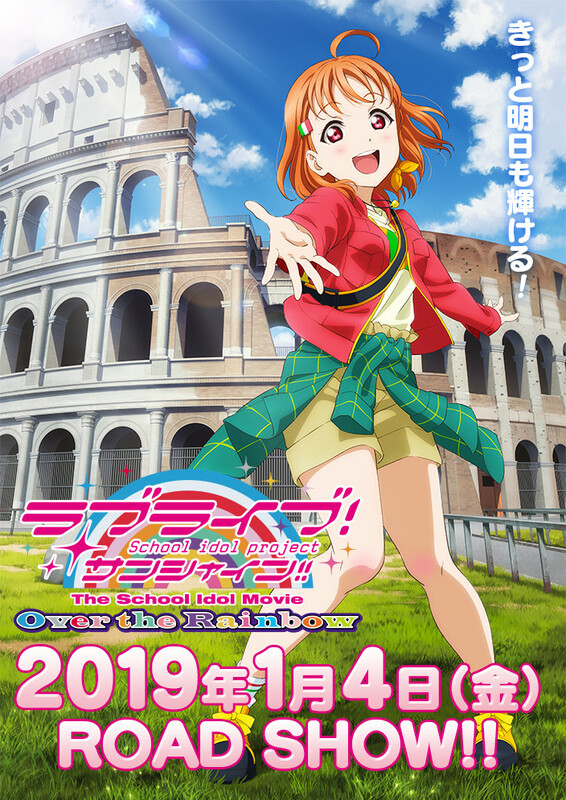 movie is set in Italy, and features all your favorite Aqours idols! During the “Love Live! Sunshine!! Aqours 3rd Love Live! Tour ~Wonderful Stories~ (wow, that was a mouthful) at Fukuoka, Japan last weekend, a Love Live! Sunshine!! movie was announced, and it’s entitled — Love Live! Sunshine!! The School Idol Movie Over the Rainbow. Love Live! Sunshine!! The School Idol Movie Over the Rainbow won’t be a simple recap of the Sunshine anime series, and instead will feature an all-new story. 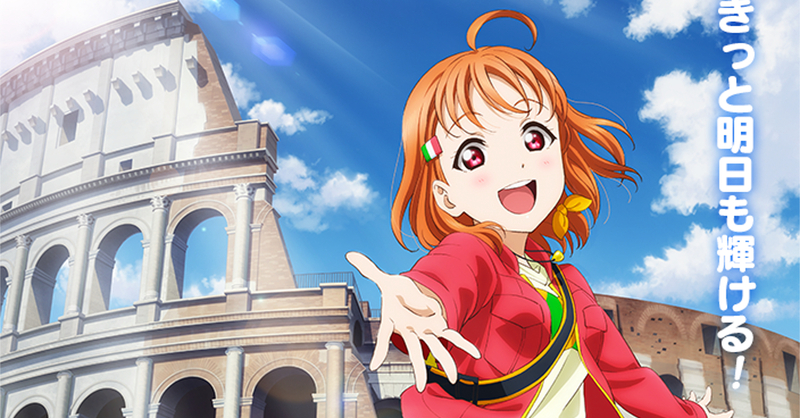 Sunshine’s Aqours school idol group will be back in the movie, and it will be set in Italy. Along with the announcement, the key visual for the movie was also revealed, featuring main protagonist Chika Takami. The Love Live! Sunshine!! movie will be released in Japan on January 4, 2019. For more information, and for a list of theaters that will screen the upcoming film, visit the Love Live! official website.